Nestled between rising hills in a narrow valley, Medellin serves as an energetic melting pot of people from all socio-economic classes. Colombia's second-largest city is home to more than 2.4 million people, with a further 1.3 million living in the surrounding metropolitan area. 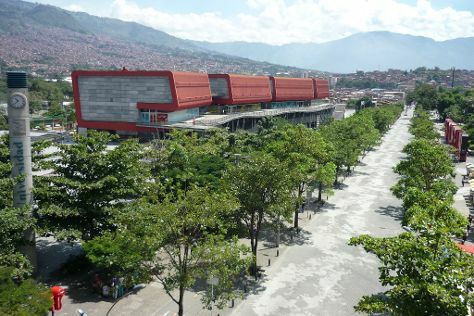 A tour of Medellin reveals modern skyscrapers and bustling industrial zones, which contrast with colorful but poverty-stricken favelas that climb the surrounding hills. Once considered one of South America's most dangerous cities, Medellin has recently cleaned up its act and now boasts lively nightlife and arts scenes. No matter what time of year you plan your Medellin vacation, you'll enjoy the mild climate that makes this "City of the Eternal Spring" such a pleasant destination. Medellin is in Antioquia Department. Take a peek at our online itinerary creator: Medellin and its charms laid bare and easily scheduled.